1 What are crusty lips? 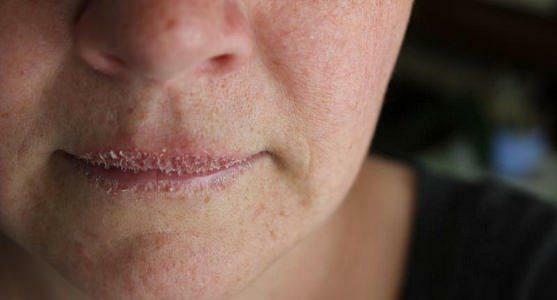 Crusty, chapped or cracked lips describes the condition of the skin of the lips. It is a commonly seen condition that most people suffer from time to time. Crusty lips can be an acute condition, which resolves after a few days, or it can also be a chronic condition and a symptom of more serious underlying disease. 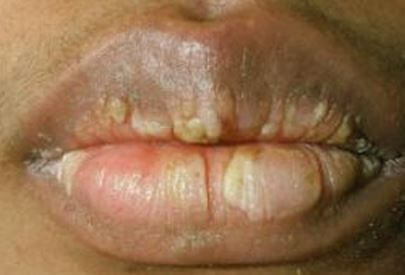 A more severe form of crusty lips is cheilitis, which is characterized by cracked skin in the corner of the lips . Chron’s disease – a chronic, autoimmune, inflammatory bowel disease, which results with dysfunction of the bowels. 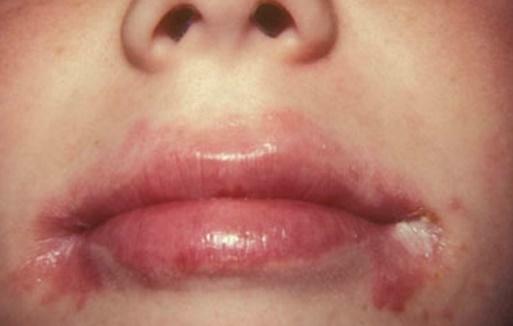 Herpes virus- usually herpes virus 1 can cause crusty lips. The condition is highly contagious. After exfoliation, apply moisturizing ointment, but avoid using irritating substances like menthol or citrus. Hydrocortisone cream to reduce the inflammation . In order to prevent crusty lips, it is important to take care of both the skin and the body. Proper nutrition and hydration is the basic step to prevent skin problems. Lip irritation can also be caused by several cosmetic products. Before using anything new, check if the product contains substances you are allergic to. If there is lip irritation after usage of a product, discontinue using it. In some cases, toothpaste can even cause irritation and crusting. It is important to apply sunscreen on the skin of the lips. Skin on the lips is thinner and more sensitive and requires protection .